Whether you’re a snowbird escaping the cold for warmer pastures, someone who always uses their annual vacation time right away or you just regularly travel this time of year as a pick-me-up following Christmas and New Year’s, getting away at any time – let alone during the winter – is always something to look forward to. 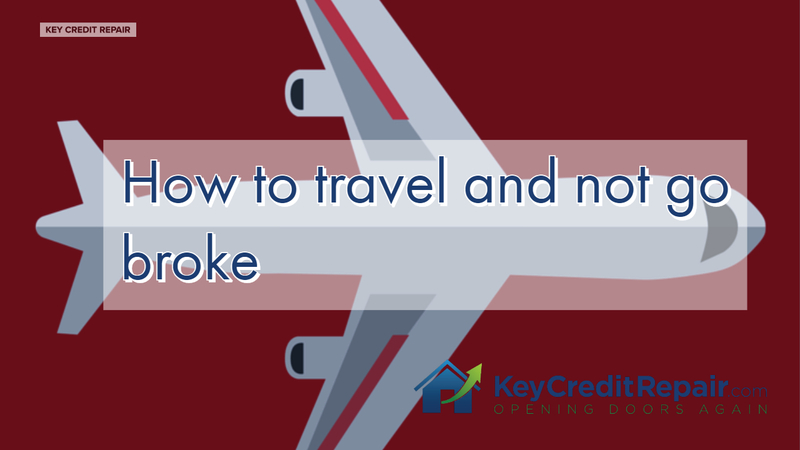 That said, nothing can quite dampen your travel experiences like coming home with bad credit or no money. Plan properly: The first step to traveling in a fiscally responsible manner is budgeting appropriately. Do your research on flights, lodging, meals, entertainment, etc. to come up with an accurate ballpark number of what you’ll need, then save until you meet this magic number so you’re not just charging everything and paying it off later. Look for ways to save: If you won’t be able to hit your target budget or if you want to reduce your target budget, consider cashing in airline miles to help with flight costs or hotel rewards points for lodging. You may even be able to turn any earned credit card rewards points into something related to your trip. Some memberships, like AAA, can even get you discounts at certain places. If you don’t have a rewards account set up with certain vendors, start now. You can bank the points for future trips. Consider cash: If you’ve saved enough to meet your projected budget, consider pulling the money in cash and paying for some of – if not all – of your expenses that way. This is beneficial for a few reasons. One, you likely won’t spend more than what you budgeted for. And two, paying in cash also helps prevent credit card fraud. Domestic and tourist hotspots abroad alike tend to be areas where identity theft is common. Know the customs: This is especially true if you’re traveling abroad, as the country and city that you’re venturing to may have different customs on tipping. While it’s common in the U.S. to tip drivers and most service industry workers, this isn’t always the case abroad. You might think that a tip here or there wouldn’t add up, but if you spend $100 on dinner every night of a 10-day trip and think that 20 percent gratuity is the norm somewhere where it’s not, you’re throwing away a few hundred dollars that you don’t need to spend. Look for low price alternatives: Conventional lodging and transportation methods might not be the best for your budget. That said, look into Airbnb for lodging to see if you can get a cheaper rate, take an Uber or Lyft instead of a taxi cabs, or consider public transportation for getting around town. The savings can significantly add up.